Join Ledger David Cellars for our spring Primoris Wine Club pick up two weekends in March! Let’s celebrate March 2-3 & March 9-10 at Le Petit Tasting Room. 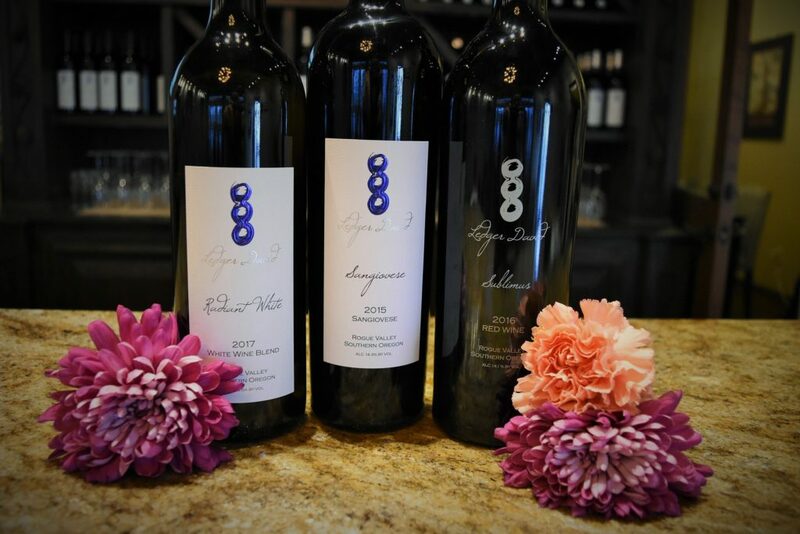 Enjoy Ledger David’s Gold winning 2017 Radiant white, our ever popular 2015 Sangiovese and newest release Super-Tuscan styled red blend 2016 Sublimus. Looking forward to private wine club hours? We’re hosting three separate evenings just for wine club members! Enjoy wines paired with delicious bites from 6-7pm March 9, 15 & 22. *An RSVP is required for the private seating hours Friday and Saturdays from 6-7pm so that we can offer personalized service & enough tasty fare for all. Any reservation cancelled less than 24 hours before the time of event will incur a $10 cancellation fee. Limited seating available each evening. Wine club shipments will go out on Mar 5 & 6, weather permitting. PLEASE send an email to McKayla@ledgerdavid.com by March 3, 2019 and let her know if you’d like to add any additional bottles to your shipment. If you are unable to receive your shipment during the first full week of March, please contact us ahead of time and we’ll hold for a better shipping date! BILLING INFO: Please let us know if your billing information has changed. Call the tasting room at (541) 664-2218 or email McKayla@ledgerdavid.com and McKayla Hamlin would be delighted to update your payment information before processing your wine club order. Credit card about to expire? Conveniently update your credit card with our online form. WINE CLUB PROCESSING & DISCOUNTS: We will be processing wine club credit cards on February 25. As a reminder, 3-bottle members receive a 15% discount, 6-bottle members a 20% discount and 12-bottle members a 25% discount on all wine club selections. OTHER PICK UP OPTIONS: If you are unable to join us during wine club event weekends, your wine club selections will be available on or after Tuesday, February 26 at the tasting room in Central Point (next to the Rogue Creamery). Stop by any time during regular hours; noon to 5pm daily or contact us, and we will gladly ship your wines (shipping fee charged to your card on file).